For Racers and Blue water sailors - Several Class 40’ are outfitted with an Antal FB system, like "Campagne de France" and "Nivea", blue water catamarans like Fountaine Pajot and Privilège have selected Antal FB systems, too. For Mast builders - we provide our HS and FB tracks to Hall Spars masts in New Zealand and the USA, Southern Spars in South Africa, Z-Diffusion in France, Axxon in Romania, Offshore Spars in the US, Pauger in Hungary, Formula Mast in the UK and more. Because of the load of the sail on the battens, the effort of hoisting and dropping of a main increases. The load particularly increases under certain batten angles which load is then transferred to the batten sliders. With that in mind Antal started to design a system that would guarantee an effortless hoisting, dousing, reefing or stowing back on the boom of a full batten sail in a variety of weather conditions, thereby ensuring that this system would be reliable and strong. The result was a combination of captive ball bearings and composite fibre materials, the FB system! 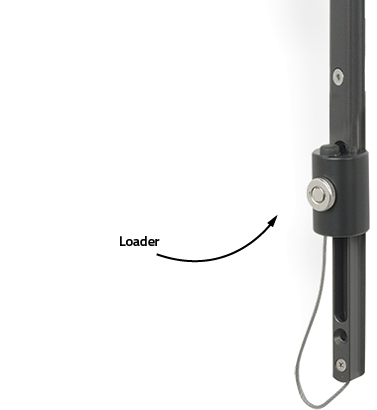 The load on a mast slider is in fact an accumulation of loads exerted from different angles of sail trim. 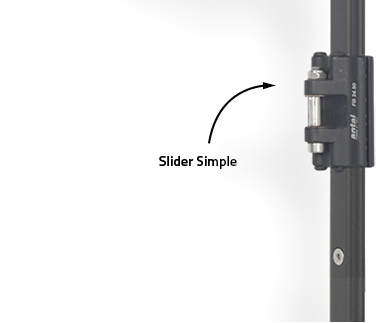 A slider on a full batten system is probably the single piece of hardware that has to deal with the most variety of loads, angles and conditions. When a mainsail is being hoisted the battens concentrate the load of the entire sail on a few sliders, which are expected to slide. The load of the battens in the sail tend to compress against the aft side of the mast as the sail is unfolding while being hoisted. This is called: compression load. With the main sail flying normally, the loads are higher, but pulling away from the mast in any direction rather a stable direction. This is called: Tension load. Antal FB sliders are designed to deal with both these loads. Hoisting, Dropping, Reefing, Stacking, Servicing. FB sliders are compact and light. Designed for boats with large mainsails and sails with a large roach, they offer the high strength of HS Fibre Inserts (for tension load) and the low friction of the Torlon® ball bearings (for compression load). Despite the small size of the sliders, the HS fibre inserts give excellent resistance to the high tension loads of main sails. At the same time the stack height is very low because of the compact size of the sliders. The fibre is virtually maintenance free - this is a self lubricating material with no moving parts. The ball bearings are captive in the slider, FB sliders can be removed from the track without having to use loader pieces, they simply slide off the track without running the risk of losing ball bearings. Different boat sizes use different systems. Starting with this in mind, a FB system is highly flexible and is offered to the specific size of the boat, requirements of the skipper or sailing conditions. Q: Captive bearings: Why is it important to have self-captive bearings? A: The fibreball slider can be removed from the track without ball bearings falling out of the car. By taking sliders off the track you can reduce the stack height on the boom. 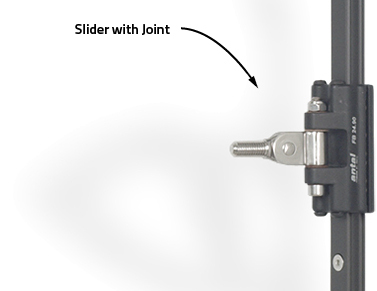 Scheduled cleaning or maintenance to the sliders can be done with the sliders off the track. Q: Do low-friction ball bearings run smoother than fibre? A: Yes! Because of the lower friction, ball bearings remain preferable over fibre material. However on a sail boat one has to consider the ‘real needs’ of the sailor. A more economically priced fibre-only slider system, with low stacking height, no maintenance, and overall less heavy, is what we would define as a good choice. When antal invented the fibre solution we sold many systems because it replaced the more expensive and higher maintenance ball bearings systems offered by other manufacturers. When we introduced the fibre system, it was revolutionary because the fibre used is not simply a sliding material, it is a high strength material with self-lubricating properties. Antal continues to use the more expensive fibre material whereas other manufacturers choose for ‘low friction plastic sliders’. Q: What is HS fibre? A: HS composite fibre is a new material that is durable over long periods of use and offers extremely low friction coefficients. The material is made from special resins strengthened with fibre and is self lubricating. Q: For high loads: Is fibre significantly stronger than ball bearings? Why it is different than ball bearings? A: Fibre has a much higher resistance to breakage and wear because the loads are more evenly distributed over a much larger surface than ball bearings. HS fibre is the preferred material over ball bearings because it is self-lubricating, it requires no maintenance, and lower in price. For full batten systems where the tension loads are higher.Antal is offering a combination of ball bearings and fibre, the FB system. Q: Why not use just ball bearings on cars but a combination of Fibre-Ball? A: Strength is a function of the material quality which bears the load and of its surface. Fibre offers a larger bearing surface than ball bearings in a confined space. 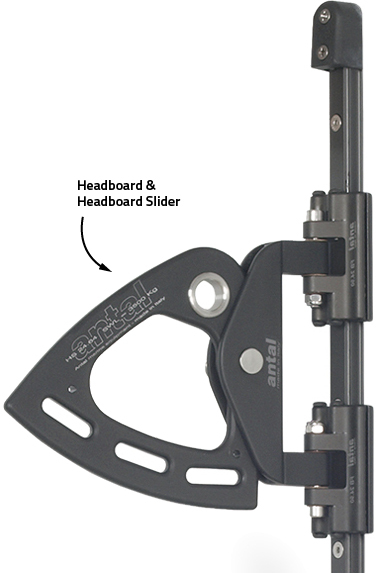 To maintain a compact slider size Antal usess HS fibre for heavier loads (tension loads) and Ball bearing sliders for variable loads (compression loads). It combines the advantages of both HS and Ball bearings in one Fibre - Ball - Slider.